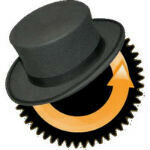 ClockworkMod Recovery is essentially the number one tool for the Android mod community. CWM replaces the stock recovery to allow easier access to wiping data and flashing fun new ROMs, kernels, etc to your device. And, CWM is about to get a major update to version 6. Version 6 looks to have 3 major updates packed into it, all of which are designed to make life easier for those of you out there who like to root your device, but keep whatever the stock ROM is for your device. This is pretty nice, because not everyone is adventurous enough or feels the need to get into the custom ROM scene. So, for those people out there, CWM 6 will be adding options to check and make sure your ROM is still rooted, to disable the stock recovery flasher, and it will also give you the option to install an official OTA update for your device. All in all, a pretty solid set of new features. No timetable on a release, but there are already betas out for some devices, so it likely won't be too long. now they just need to make it so you can flash your rom without needing to root your phone. I owned the Rezound. The previous version didn't work well with flushing the ROM sometimes. Amon RA Recovery is a better choice. CWM worked great with my Moto Droid X though. I used to have a Droid Eris and Amon RA seemed to work better with that. I wonder if Amon RA just works better with HTC phones (or, if the reciprocal is true and it's just that CWM doesn't) since it's so prevalent on handsets from other manufacturers. Excited for the new update. CWM was always my choice on my Epic 4G Touch. With the ICS source out, I am looking forward to this version of CWM. i still prefer 4EXT for my Desire S.. But might try this.. the only feature these custom recoveries needs is the flashing boot.img without using fastboot command (and PC) for all the phones that use that..
Hopefully it works for the RAZR. ALthough, I am using BootMenu, and it many aspects it is as good or better.